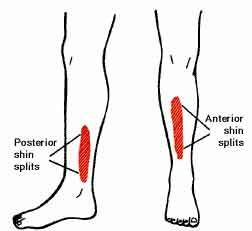 Shin splits affect more runners than you can imagine, however the official name for them is shin splints. Here are some tips on how to treat shin splints and other running injuries. Here is a list of common running injuries. For more information on each injury listed below just click on the title of the injury. There are two parts of your shins were you can get pain. Anterior and posterior shin splits, which are basically the front and the back of the shin. Pain in the shins is usually caused by over training, meaning increasing your mileage to quickly or increasing your hill / speed workouts to quickly. To learn more about shin pain/injuries just click here. The most common knee pain for runners is called Runners Knee. It is an overuse injury requiring rest in order for it to heal. Learn more about runners knee and knee pain for runners here. Plantar fasciitis is very common in runners. The pain from this is most common when you first stand up in the morning. 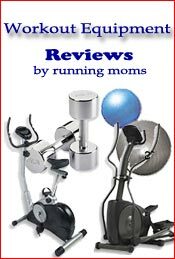 To prevent this from occurring proper footwear is important, check out our guide on how to buy running shoes here. And for more information on foot pain click here. For runners the number one cause of back pain is muscular strain. It is very important for runners to strengthen their abdominal muscles to prevent lower back pain. Click here for great ideas on strengthen your core. 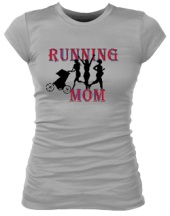 And learn more about running with back pain here. If you run you will chafe at some point. This is totally preventable if you wear the proper running clothes or use products like Body Glide. Learn more about chafing skin here. Especially when you first start out running you will experience some muscle soreness. This is because you are using muscles that are not normally worked when walking. If you change your training say from shod running to barefoot running you again will experience muscle soreness for the same reasons. 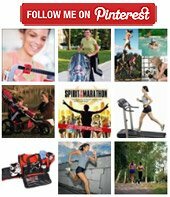 Learn more about running and muscle soreness here.